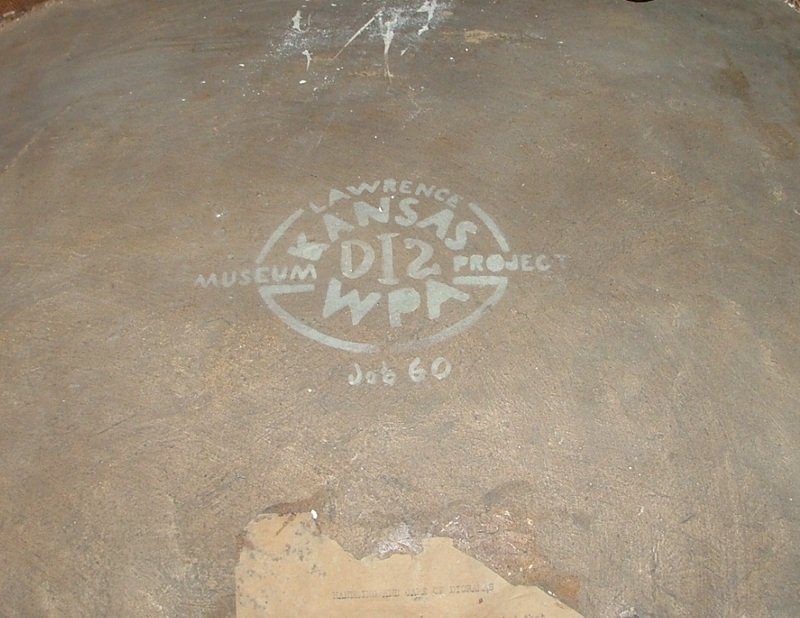 WPA Logo on the back of the diorama. In 1940 or 1941, the Newton Public Schools purchased five dioramas which were made in the Lawrence, Kansas workshop between 1939 and 1941. By the 1980s, Newton’s dioramas were forgotten after being put into storage at Washington Elementary School. In 1986, the dioramas were uncovered by local art teacher Phil Epp. He put them into use in his classroom at Santa Fe Middle School in Newton. They were used until a 2000 renovation of the school, put into storage for several years, returned to classroom use, placed back into storage, and then donated in 2014 to the Harvey County Historical Museum.